Excellent South Miami Home - Remodel into your Dream House - Lot has over 11,000 sf. Home has Large Open Kitchen with Stainless Steel Appliances - Open and Spacious Floor Plan - 3 Bedrooms and 2 Baths - 2-car garage, Beautiful Canal Back Yard - Room for pool and additions. Circular Drive with room for boat or RV. Needs some TLC, needs new roof. 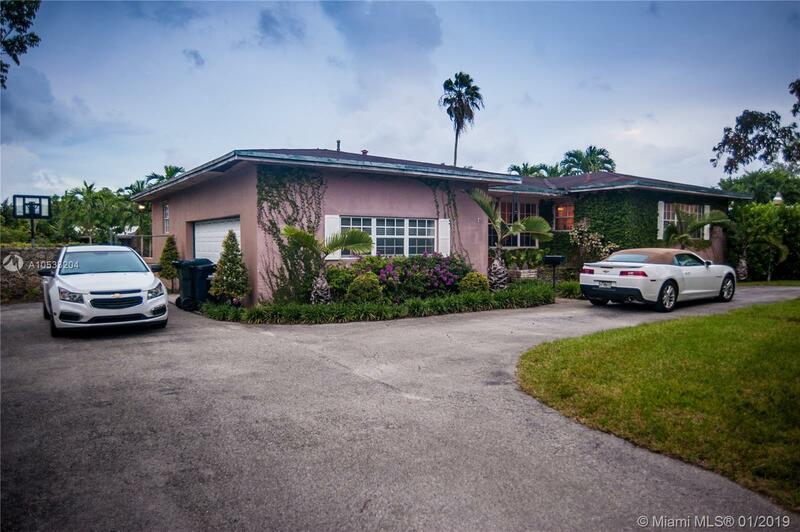 Don't Miss out on a great buy in coveted South Miami, adjacent to Coral Gables, near US1, Palmetto, 874, South Miami Hospital, Larkin Community Hospital, Baptist Hospital . This home will not last on the market. Owner, Celeb-chef relocatedt, moving, motivated, Quick Sale wanted by Motivated Seller. Cash Offer preferred or pre-approved deals. Easy show with Showingtime. $2,500.00 Bonus to Selling Agent for Closing on or before April 6, 2019. Directions: Us1 Or Palmetto Expressway To Sunset Drive (SW 72nd Street) To SW 67th Avenue, North To SW 64th Street, East To SW 65th Street, Corner House On SW 65th Avenue And 64th Street.